Purchase this product now and earn 1,330 Points! 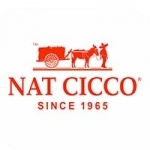 The Nat Cicco Aniversario 1965 is a super premium cigar that boasts a Nicaraguan-grown Habano-seed filler, binder and select Ecuadorian-grown Habano wrapper, all aged for a refined, harmonious blending of its extra select components. 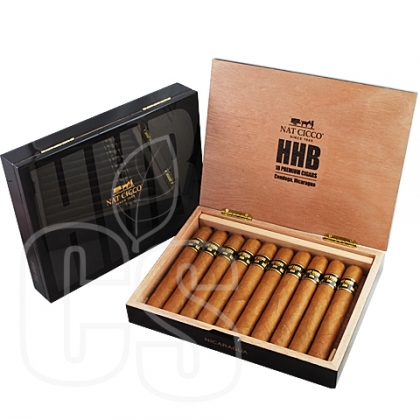 This full-bodied cigar, offered in Robusto, Toro and Churchill, has an abundant amount of complex, well-balanced flavors, with a pronounced nuttiness to satisfy the palates of most cigar connoisseurs. The tobacco’s vintage character is retained using a leaf processing tradition that is unique to Condega, Nicaragua. The cigar includes extra distinctive touches including a pigtail cap at the head and a foot that is enclosed by the wrapper leaf, to lock in the freshness and flavor. 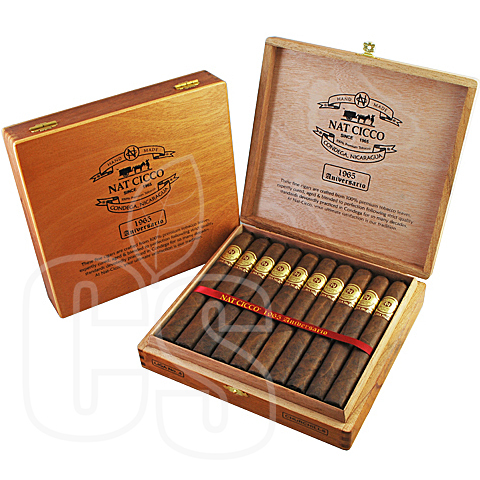 The finished cigars are semi-box-pressed and presented in attractive 20-count cedar boxes.